Hey my lovely dolls, so I got tagged by the lovely Charlene from A Cosmetic Affair (you really should have a look at her blog here) for my second ever tag and I am really starting to love these tag post. If I have to give an age, I think I was around 13 years old when I started wearing makeup (well I think it counts as I used to sneakily wear my mum’s makeup without my parents knowing lol) and since that day I never looked back. I think it was a teens thing, you know being 13, realising that you are growing up , having your first crush and low self esteem, I felt that makeup my new bestie, since the minute I put on some concealer, eyeliner, mascara, blush and lippy I used to feel a whole different person – a person that can conquer anything she wants. At the moment just to name a few I am obsessing on Makeup Revolution, Makeup Academy, E.L.F., Vivo, Essence, Catrice and Sleek. Makeup got me is a means to feel prettier on the outside. In other words if you are feel good on the inside, that it what will reflect on the outside. Ouch this is a tough one, but if I had to choose 4, I would say a 2-in-1 foundation – to balance imperfection , mascara – to emphasise the eyes, blush – to give some colour and lipgloss – for that lovely pout. For me makeup reflects what you feel like inside, for instance if I have a big day ahead automatically my makeup is going to be bolder and so on and so forth if you get my drift. I love the occasional splurge on a high-end brand as you know they will live up to their expectation and performance, however in recent months I have noticed with great pleasure, that a lot of drugstore brands have risen to the occasion and definitely improved their quality up to high end brand standards. Not to mention the obvious that the prices are by far more attractive then high end brands. For me since I am a makeup fan or addict call it as you see it – I much rather get more items with the same price of one high end brand product! First and foremost know your features, as it will help you identify what suits you or not , study your face and definitely less is more and that is a fact. You can always add as you start to get comfortable. In the end make sure you are comfortable with the person who is looking back at you in the mirror. Cannot think of a particular trend that I never understood as I am one to always try something new at least once, if I like it well if not we move on to another trend. I have lately discovered the huge amount of beauty vloggers on YouTube and I just love it … of course I have subscribed to a couple of hundred of channels but who cares – all I know is that whenever I need help on something you can bet your cute little eyelash that you will find it. I love love love products reviews, makeup tutorials and GRWMs. 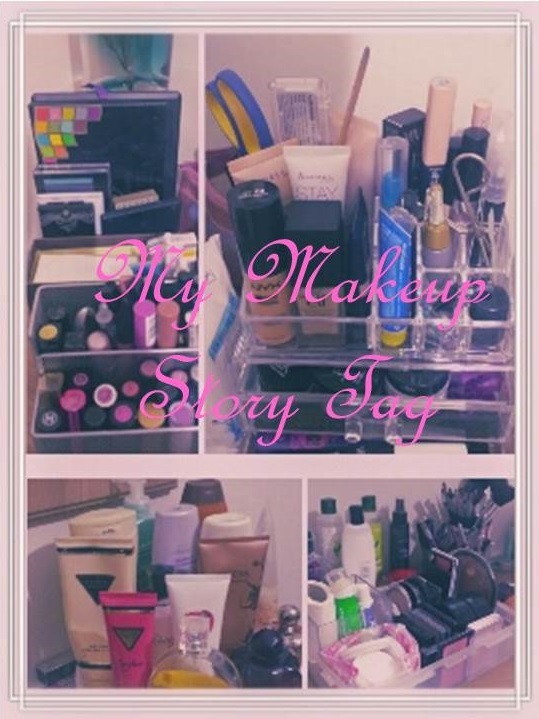 So that concluses MY makeup story tag, hope you guys enjoyed reading it as much as I did in answering the questions. Now onto the tagging part ladies – hope you all can find time to do this tag as I would love to get to know you better.